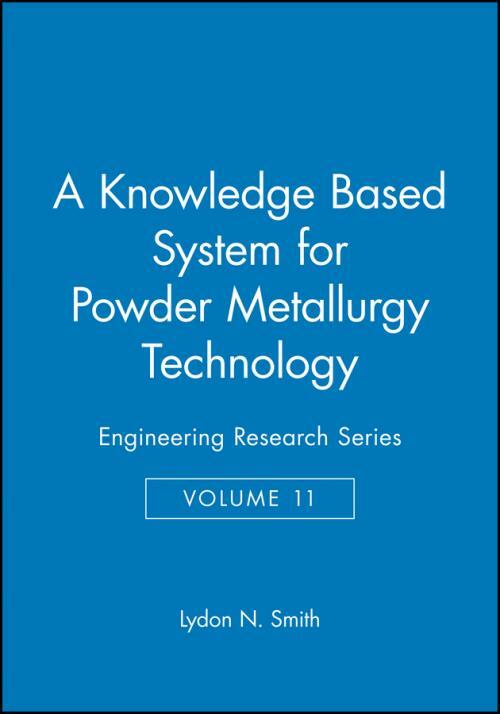 Published as part of the highly successfulEngineering Research Series,A Knowledge–Based System for Powder Metallurgy Technology not only looks at the latest advances in powder metallurgy, but also presents a methodology that offers a means to preserve critical process–related know–how. The author makes this practical information easily accessible to design engineers so that they can take advantage of the opportunities that powder metallurgy offers. The knowledge–based system aims to simulate the capability of human experts in solving design, materials, and process optimization problems in powder metallurgy. This is achieved through use of process modelling and artificial intelligence techniques such as neural networks. The rapid developments in expert systems in recent years have enabled accumulated experience and knowledge to be applied in the powder metallurgy field. This calls for careful modelling of the processes together with sound appreciation of both powder metallurgy and knowledge–based systems. A Knowledge–based System for Powder Metallurgy Technology introduces the reader to both fields in the early chapters and then illustrates the advantages of the use of expert systems in this significant manufacturing process. A Knowledge–based System for Powder Metallurgy Technology is based upon the author s extensive experience of computing, expert systems, modelling and powder metallurgy on both sides of the Atlantic and represents a valuable addition to the Engineering Research Series.